Sold by Haizhixuan and Fulfilled by Amazon. Gift-wrap available. Sold by Haizhixuan and ships from Amazon Fulfillment. 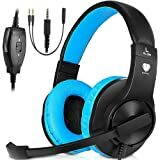 gaming headphones will be a must have accessory for you! and more durable than normal plastic audio cable. Warranty, Parts: 90 Day Amazon.com Return Policy: You may return any new computer purchased from Amazon.com that is "dead on arrival," arrives in damaged condition, or is still in unopened boxes, for a full refund within 30 days of purchase. Amazon.com reserves the right to test "dead on arrival" returns and impose a customer fee equal to 15 percent of the product sales price if the customer misrepresents the condition of the product. Any returned computer that is damaged through customer misuse, is missing parts, or is in unsellable condition due to customer tampering will result in the customer being charged a higher restocking fee based on the condition of the product. Amazon.com will not accept returns of any desktop or notebook computer more than 30 days after you receive the shipment. New, used, and refurbished products purchased from Marketplace vendors are subject to the returns policy of the individual vendor. Very fast delivery and OMG it's soooooo cute❤❤ I absolutely love them! They're very comfy to wear and work great for their price. 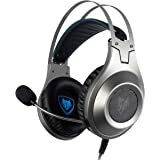 The sound on them is a little quieter than my other headset even with the headsets volume control all the way up. But it's an easy fix with your in game settings just turn up the volume and it's perfect. The Mic works just fine others can hear me crystal clear. I tested them on one of my streams and it was perfect. I've only used them once so far so now I just have to wait to see if they hold up or will break over time. 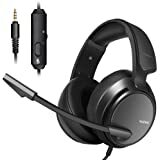 I bought a cheap pair about 8 months back and the cord is breaking on it so let's just hope this one holds up! Bought these on March 11th 2018 it is now June 18th 2018 and they're broken. As cute as they are and as affordable as they are I wouldnt recommend. They no longer work. I loved these so much and now they're broken. The sound on them cut out alot and the cord its coming loose. 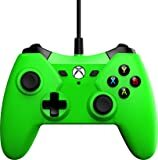 I am an Xbox junkie and wanted to party with my son who lives in another town. I bought two of these so we could talk without using cell phone minutes. 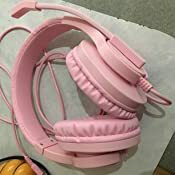 I hate head phones but this one (mine is pink) is so comfortable and we can talk to each other like we are in a room together and not miles apart. I even put them on because it makes the in-game sounds so distinct. The cord is really long; not sure why, but I guess because you can use for other things as well. Will try on my computer next time when I am streaming Netflix to see how it sounds. I have another son who still lives with me and has a weird shift so have to be quiet and do use ear plugs so now I can use these comfortable head phones. I was so excited when I got mine and put it on that I had to call my son to come get his so we could try together. Love these. Waited a week to post a review since a lot of people were having trouble within a week or two. And I am unfortunately one of those people. They are very cute/stylish, but I cannot hear very good through them. I was so disappointed when I figured out that was as high as the volume went. 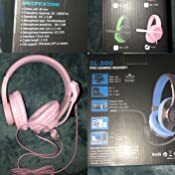 BUT as actual headphones for your phone/iPod to listen to music, they work great! That was not the reason I purchased them though. 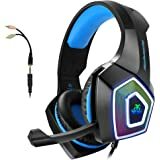 I wanted a headset/mic for gaming. When I speak through them my voice is clear so that’s a plus. But the left side is already starting to make that noise where it’s fixing to “blow”. And it’s only been a week....But you get what you pay for. 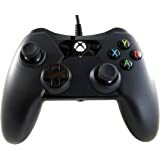 I have already switched backed to my Xbox mic set. 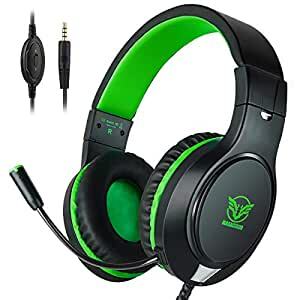 These are nice headphones for the sound but the mic doesn’t work. 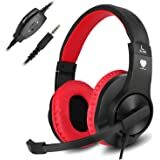 I mostly bought them to play Xbox games with my online friend and I can hear him and the game just fine but he doesn’t hear me. 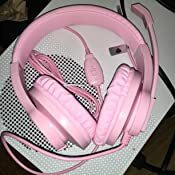 So I gave them to my 8 year old daughter so she can use them on the computer and she’s happy with them. Thankfully these were a lightning deal so I got them for a really cheap price. 1.0 out of 5 starsStopped working after 2 weeks. Stopped working after 2 weeks. 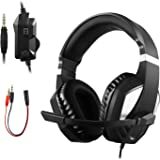 Got my son this headset for Christmas. It worked great but now sounds very faint and only works out of one side. Tried on both xbox one and ps4, same result. When I first got them they worked great. Nice product for a nice price, I thought. I recommended them to two buddies so we can co-op on the xbox. Like clockwork, within about a month or so, one guys stopped working out of one ear, my sound is off and on and I have to finagle with the cord to get it to work, same with my other buddy. Should not have these issues and is not an isolated problem. 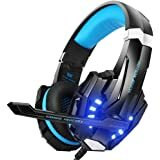 Ordered these headphones for my son and he said they were very comfortable and sounded great. 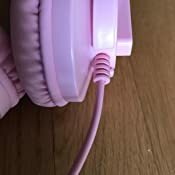 A few months after we purchased them he was unable to chat, so I contacted the seller and made them aware of the issue and we had a pair of replacement headphone within 2 days with no long process or run around! I will be ordering from this seller again, very satisfied with my service! 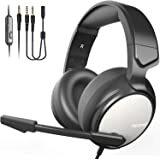 I really like this headset. 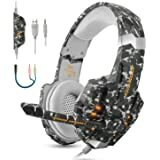 I needed something that sounds good and was comfy for an affordable price. It seems that everyone can hear me clearly and I've even been told that a bag of chips or a running faucet can be heard and is loud to over people. 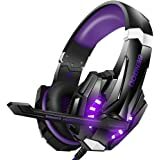 I will say that if you wear this headset for too long, you're ears might start to get sore. My ears kind of stick out so having them pressed against my head for a long time can get a little uncomfortable. But overall, very good product for the price. I also love the pink color! Color matches photos very well.